Help mum enjoy some well earned pampering with this lovely Mum's Me Time Pamper Set containing everything she needs to relax and unwind. 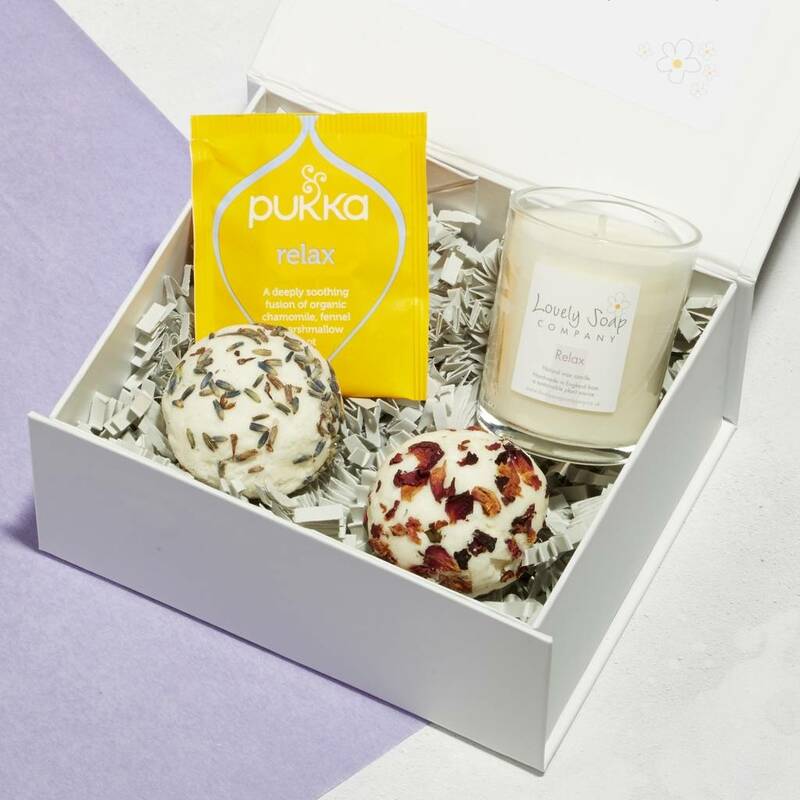 This great relaxation pamper gift is a lovely gift for stressed out mums, or dads, who need to relax and unwind. Ideal for anyone, in fact, who needs some well earned Me Time, especially after the long school holidays. 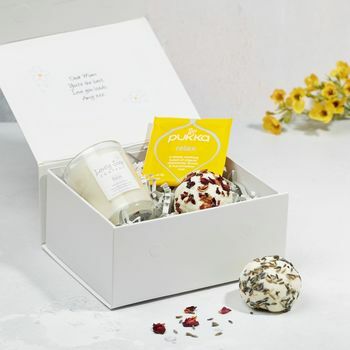 Lovingly handcrafted, our Me Time bath gift contains a natural wax scented candle and two hand rolled bath truffles, one lavender and one rose geranium, plus a relaxing tea blend for a calming cuppa. A perfect pamper gift for any occasion, especially with Mother's Day just around the corner. 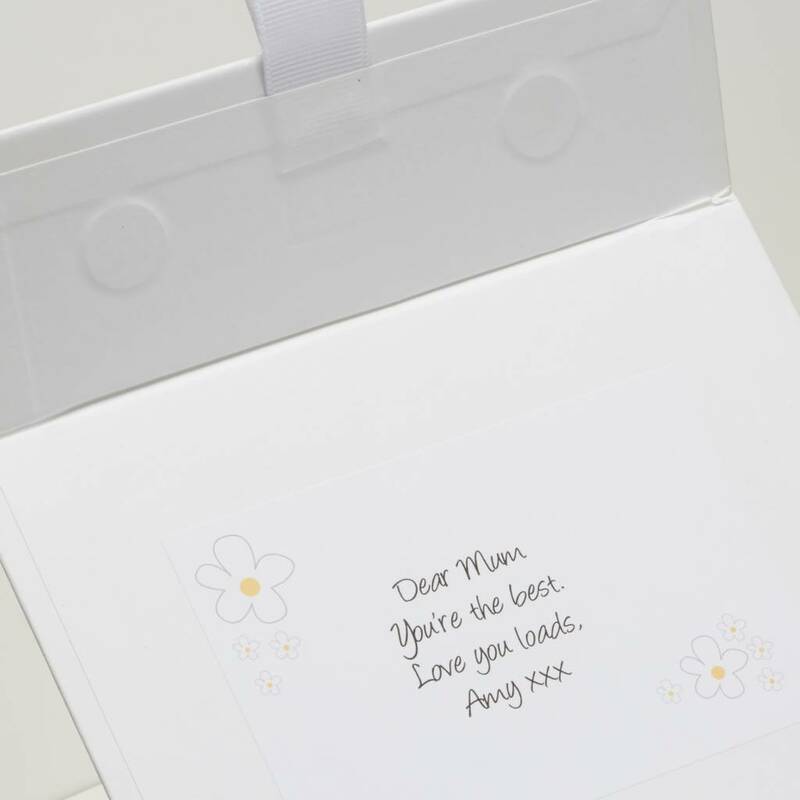 This pamper gift can be personalised so if you'd like to make it extra special just tell us what you'd like to say and we'll add your message to the inside of the gift box for you. 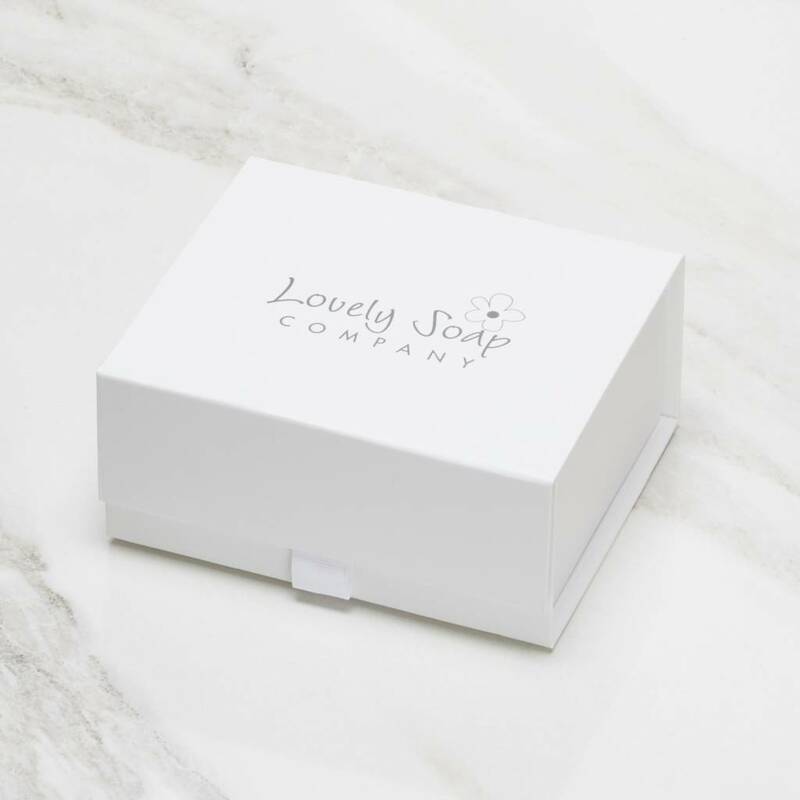 Our products are handmade from natural ingredients with no SLS or parabens. Our products are suitable for vegans. The candle is handpoured natural wax scented with pure essential oils and comes in a glass container with a burn time of approx. 15 hours. Our bath truffles are made by hand so natural variations in colour, shape and size do occur. The candle container stands 64mm high with a diameter of 50mm and has a burning time of approximately 15 hours. Each bath truffle weighs approx. 40g.